The following video demonstrates the effect of ‘Noise Cancellation’ and comprehensively answers the above 3 questions! We HIGHLY recommend that you watch it! Why are these the BEST Active Noise Cancelling Headphones? There are mainly 2 criteria we (and others) use when ranking noise cancelling headphones. How good is it at cancelling outside noises? Noise cancellation is undoubtedly the BEST with the Bose QuietComfort 25 Acoustic Noise Cancelling Headphones. 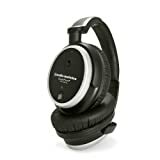 Noise cancellation was far superior to that of PSB M4U-2 Active Noise Cancelling Headphones and Harman Kardon NC Premium Over-Ear Noise Cancelling Headphones. Proprietary Bose innovations use microphones on both the inside and outside of each earcup to recognize the background noises around you. Then, the noise cancelling circuitry inside the earcups produce sound waves of the exact opposite polarity to those identified by the microphones. These artificially synthesized signals cancel out those background noises to near-perfection producing excellent noise cancellation. How good is the sound quality? Very good, we would give it 8/10! Purely from a sound-quality standpoint, PSB M4U-2 Active Noise Cancelling Headphones were better than the Bose QuietComfort 25 Acoustic Noise Cancelling Headphones. If the Bose QC25 are a 8/10 for audio quality, we’d give 9/10 for overall audio quality of the PSB M4Us. However, we emphasize again, that noise cancellation properties of the QC25 were far superior to any other NC headphones in the market. What else do we like about ’em? They’re EXTREMELY COMFORTABLE. Probably the MOST comfortable of all around-the-ear NC headphones. The rotating earcups fit perfectly around your ears! If and when the AAA battery dies, you can still listen to music WITHOUT noise cancellation! Not every headphone does that. With the previous model, that is the Bose QuietComfort 15, when the battery died, it wouldn’t play any music with or without noise-cancellation 😥 but the QC25s do! 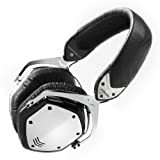 Considering that the PSB M4U 2 headphones had very good (8/10) noise cancellation and excellent (9/10) sounds, this pair is considered the overall 2nd best noise cancellation headphones. If you look around the internet, you’ll see that this is not just our opinion, but most other reputed reviewers share the same view. Also included in the package are a travel case, a 3.5mm-to-6.3mm plug adapter, airline adapter and an extra pair of ear cushions. All in all, PSB M4U 2 Active Noise-Cancelling Headphones are undoubtedly the best when it comes to audio quality among noise cancelling headphones in the market. Well, isn’t there anything wrong with it? Yes there is! It ain’t cheap and it is not Bluetooth enabled Check price and availability here. How good is the sound quality? EXCELLENT! But not quite the audiophile quality of the PSB M4U2s, may be slightly better than the Bose QuietComfort 25 headphones. Like we said before, not all of us need or can appreciate audiophile-grade music. 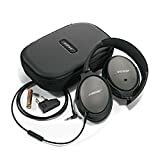 Compared to the PSB M4U 2 headphones, the Harman Kardon NC Premium Over-Ear Noise Cancelling Headphones are about ~$100 cheaper (on sale on Amazon.com at the time of writing; September 20th 2015). Another noteworthy, pleasantly surprising feature of these were that turning on noise cancelling hardly makes a difference to audio quality. With almost any pair of NC headphones, when the audio signals travel through the ‘noise cancelling machinery’ inside a pair of NC headphones, you lose at least some of the audio quality. This is why passive noise cancellation gives you better sound quality than active noise cancellation. However, when the ‘noise-cancellation’ part is considered, ‘active’ obviously does a better job than ‘passive’, however, at the expense of some sound quality. But with thesee HK premium NC headphones, its active mode hardly makes a difference. You can test this by repeatedly turning on and off the NC feature. Like with any active NC cans, when you turn the NC on, everything usually sounds louder. With an average pair, in addition to the audio becoming louder, on closer inspection, you’ll also notice a loss of quality/clarity. But with these Harman Kardon NC Premium Around-the-Ear NC Headphones, there’s hardly a loss of clarity. How good is it at cancelling outside noise? Very good, but comes definitely behind the Bose® QuietComfort® 25 Acoustic Noise Cancelling® Headphones and in par with the PSB M4U 2 headphones. But that’s good enough noise cancelling for 99% of us! What else impressed us on these headphones? Just like the Bose QC 25s and PSB M4U 2s, you could continue listening to music even after the batteries are drained! Like the name says “PREMIUM DESIGN” – not everybody may like them, but we do, we love ’em! Like with most high-end NC headphones, the original list price is >$300. However, at the time of writing this (September 20th 2015) they were on sale with $150 off the list price. Uses a rechargeable battery – lasts about 40 hours – what we don’t like about them is that once they die, you have to recharge them. Whereas with non-rechargeable ones, you can just pop one AAA in and it’s ready to go. The rechargeable cable is NOT a standard micro-USB cable! These are our Most wallet friendly headphones with ACTIVE Noise Cancellation. Note that this is NOT PASSIVE Cancellation. Passive cancellation (noise isolation is a better word) simply cuts out the external sounds thanks to the tight fit of the earcups. In contrast, with active noise cancelling, microphones on the headphones identify various noises in your surroundings and the noise-cancelling circuitry inside the headphones produces a counteracting signal (near exact opposite wavelength). The result? Environmental noise is cancelled by the counteracting noise produced by the headphones –> Noise Cancellation! Because of this complex NC circuitry, ACTIVE NC headphones are almost always MORE expensive than the PASSIVE NC headphones. This is why they don’t come cheap! This is why these NC headphones, even though we have categorized them as budget friendly, are NOT REALLY CHEAP. Passive Noise Cancellation is generally NOT as good as ACTIVE Noise cancellation. It shouldn’t be a surprise because it is merely due to the passive ‘sealing effect’ of the earcups. Good seal => no sounds in; no sounds out! This works for low-grade background noises; but if you want decent noise cancellation inside an airplane or a tube train, you need ACTIVE noise cancellation. The following headphones are pretty good at noise-isolation. 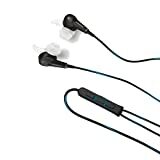 These are extremely cheap at around $15-20 and have a decent amount of noise isolation. However, don’t expect these to cancel out ambient noises at a level anywhere near the PSP M4U 2s, the Bose QC15s, the HK NC Premiums or even the Audio-Technica ATH-ANC7B. Of these 3, probably the best passive noise-cancellation comes these V-MODAs! On-demand active noise cancellation: turn it on or off as you need it. Very decent noise cancellation, however, not as good as the noise cancelling prowess of the Bose QC25. Given that the QC25s are nearly twice the price of the Plantronics BackBeat Pro, this shouldn’t come as a surprise! Open mic: this is an excellent feature we wish more manufacturers incorporated in to their headphones. Basically, this microphone allows you to hear outside noises to whatever level you desire (by increasing/decreasing volume) without having to take off the headphones. This feature allows you to be aware of your surroundings or be completely shut off, depending on the various circumstances. Loooong wireless range: generally the wireless range of Bluetooth headphones is 33 feet or 10 meters. But with the Plantronics BackBeat Pro, you get 10 times the wireless range, that’s 100m or 330′. This is thanks to Bluetooth 4.0 technology. However, your device also needs to support BT 4.0 for this to work! Loooong battery life: 24 hours of listening time for every single charge is a lot! If you just want ANC on without listening to any music (e.g. napping while flying); the battery will last up to 60 hours. Smart sensor: automatically plays/pauses depending on your ‘wearing status’. Take off the headphones => music pauses; put them back on => music restarts! This way, you don’t miss any of your favorite music and it helps preserve battery life for maximum enjoyment! On-ear controls: recall that these are BT headphones. You can’t have an in-line controller because there are no cables. What you can have are on-board/on-ear controls and that’s exactly what this has. Play/pause, skip tracks, volume controller, ANC on/off, open mic feature, answer/reject/end calls, all controls fashionably and conveniently placed on the two earcups. Well, actually, there is an additional in-line controller specifically made for Apple devices which gives some enhanced features like activating Siri! Around or on-ear design? Around/over/circum-aural design. NOT a pair of on-ear/supra-aural headphones. Rechargeable battery is NOT replaceable. Hopefully the battery doesn’t die; when it does, you’ll have to replace the headphones as well. In contrast, these BT headphones have a replaceable rechargeable battery. You can even purchase an extra battery and keep it as backup when you don’t have ~3 hours at your disposal to recharge it! However, hopefully, the rechargeable battery of the Plantronics BackBeat Pro will outlast the headphones. 340g in weight: that’s a little on the heavy side especially when compared to the Bose QC 25s which are ~195g. But recall that the Bose QC25s are not wireless headphones. Bluetooth mechanics make wireless headphones generally more heavier than their wired counterparts. 10. Parrot Zik Touch-Activated Active Noise Cancelling Bluetooth HeadphonesThese are the Most Feature-rich NC headphones. You should check out its specs whether you buy it or not!. We have reviewed this under Best Around-the-ear Bluetooth Headphones. Please check that for additional details.